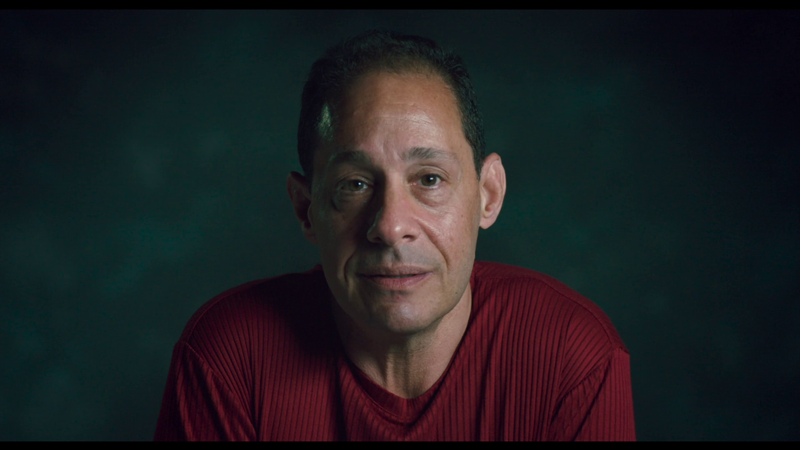 If you know nothing about the story at the center of Three Identical Strangers, you're going to have a much better experience with it, but even if you're aware of the tale of David Kellman, Robert Shafran and Eddy Galland, you probably don't know everything that went on with these three men, as the film piles twists on top of twists, in one of the most subtly disturbing documentaries in recent history. It's a mystery wrapped in an human-interest story, and though its scope is relatively narrow, the themes are universal. In the ‘80s, a young man from Long Island (if there's an unusual story, there's a good chance it happened in these New York suburbs) goes off to college. The unusually warm reception he receives upon his arrival quickly leads to the revelation that he looks exactly like another student--a twin brother he never knew he had. The media grabs a hold of this odd situation, which ends up catching the eye of a third unknown brother, making the trio triplets and an immediate media sensation. Three identical brothers, separated at birth and adopted by three very different families, are reunited and become a family again, right in the public's eye. 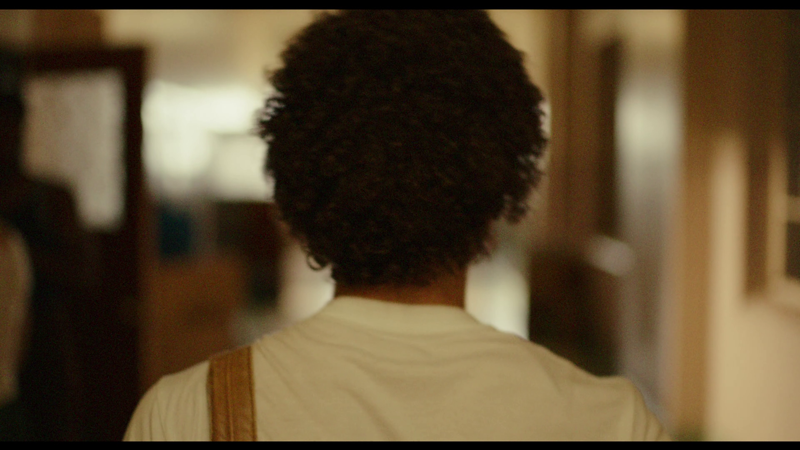 Unfortunately, the feel-good story of the triplets' reunion takes a onimnous turn, when they begin to learn about how they came to be separated in the first place, and what secrets are buried in their family history. If you think you know where this is going, you probably don't, as it becomes increasingly complex and awful as new information comes to light, through the efforts of the brothers and journalist Lawrence Wright, who uncovers the truth--but that truth brings more questions, and more heartbreak. The film is told mainly through recreations of the triplets' lives, a wealth of archival footage (thanks largely to their heavy media presence) and interviews with the families and people who interacted with them. It's smoothly constructed and moves with good pace, managing its more stunning revelations with precision, so that they are less of a sudden punch, than a dawning understanding, which makes them all the more powerful. Having charismatic subjects and topics that are enthralling obviously doesn't hurt, but the structure of the film, especially its use of music to create mood and establish context, ensures that it's compelling to watch. 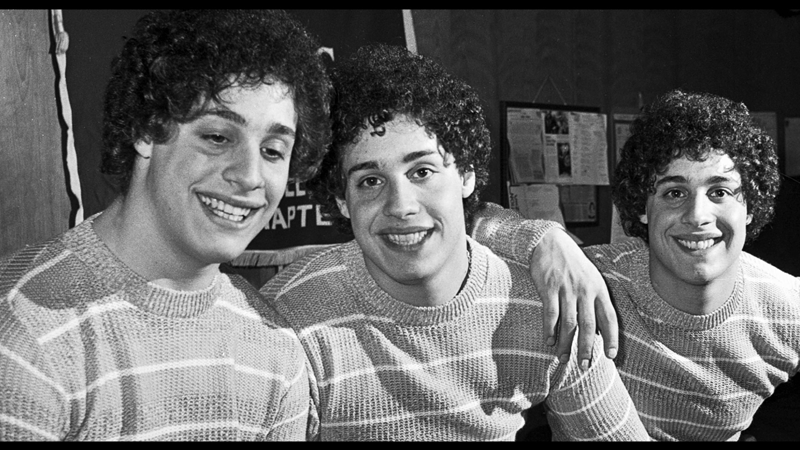 That's key, because Three Identical Strangers is a rough ride, taking the viewer to dark places they didn't expect to go when they first meet the three smiling brothers, learning more about humanity than is likely comfortable. Three Identical Strangers arrives on a Blu-ray disc, packed in a standard-width keepcase, which is held in a slipcover that repeats the cover art. The disc features Universal's long-established animated curve menu with options to watch the film, select scenes, check out the bonus features and adjust the set-up. Audio options include English DTS-HD MA 5.1 and Dolby Digital 2.0, while subtitles are available in English SDH. The 1080p, 1.85:1 AVC-encoded transfer on this Blu-ray is quite nice, whether dealing with the newly shot interviews and recreations or the extensive archival footage, which ranges from still photos to home movies to old TV footage. Though the age of any particular piece of content is obvious, they all look solid, especially the new material. The interviews are attractively shot, while the recreations are stylish and cinematic, and the well-saturated image delivers a high-level of fine detail and no obvious issues with digital distractions. Presented with a DTS-HD MA 5.1 track, the film is the somewhat rare documentary that benefits from such an audio set-up, as there's a pretty solid mix on hand, with strong music cues (including the necessary Billy Joel tune for this Long Island story), good atmospherics where appropriate and clean, distortion-free voices. Director Tim Wardle and editor Michael Harte provide an audio commentary in which they share info on the recreations in the film and the work that went into revealing the story. There's a bit of an odd feel to the track, as Wardle and Harte--doing their first commentary--are having a good time, even laughing, while talking about a remarkably serious topic. For a bit more background, there's an 11:08 Q&A session from the film's opening night in New York City, with Wardle, Bobby, David and two other subjects in the film. They answer a few questions about the film and their story, including a rather personal query and notes on the bigger issues in the film. There's also a manual photo gallery of 20 pictures from the triplets' past that are seen in the film, and a 2:09 trailer that effectively sells the film. In the package is a Movies Anywhere code for a digital copy of the film. Coming in unaware of the story of the triplets, I was taken on quite a ride by this film, which sets you up for a punch, then delivers a series of body blows, with a story that's so disturbing and upsetting that it's hard to believe it's true. The presentation on Blu-ray looks and sounds great, and adds in some extras that round out the film a bit, from both a production and story perspective. Documentary fans (or even just fans of mysteries) should absolutely check it out, but don't go digging into the story before you do.